SMS (Short Message Service) and MMS (Multimedia Messaging Service) received by connected devices can be downloaded, displayed, read aloud and responded to, all from your vehicle. Switch SMS NOTIFICATION to ON; to turn notification off, switch to OFF. Switch AUTO DOWNLOAD TEXT (SMS/MMS) to ON; to turn automatic downloading off, switch to OFF. 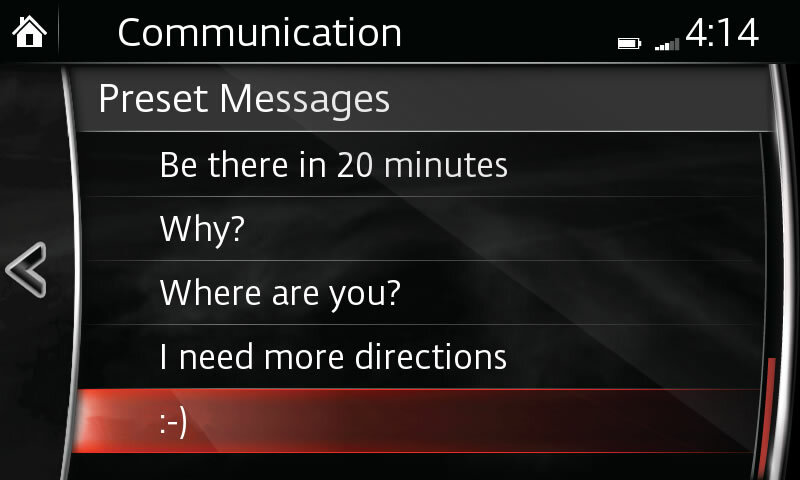 Select SMS from the Communication menu. – Up to 15 preset messages can be selected for a reply when using a compatible device. 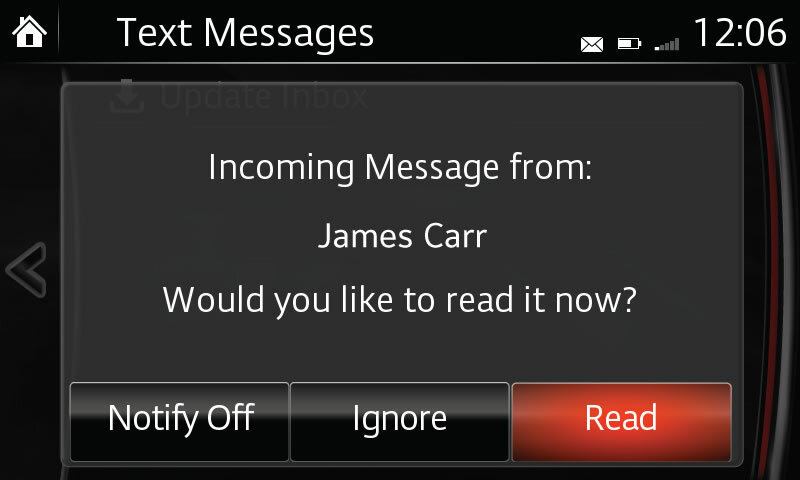 – Up to 20 new text messages can be downloaded and displayed from a connected device. – Messages up to 160-bytes (text message) can be downloaded.